If you work in the video industry, then you know there’s been an explosion of industry-related data, from research firms, technology vendors, financial analysts and other sources. The data is extremely valuable because often it provides critical insights into the fast-changing video landscape. But for busy industry decision-makers, investors, press and others, it has become nearly impossible to stay current on the flood of new data, much less to make sense of it all. To address this growing problem, VideoNuze, the leading publication covering the online video industry, has created VideoNuze iQ, a dedicated editorial hub specializing in video industry-related data. The mission of VideoNuze iQ is to analyze, report and curate industry data in a high-quality, objective manner. VideoNuze iQ builds on VideoNuze’s library of over 200 original analyses and nearly 1,300 curated links to third-party articles, all focused on video industry data. This extensive archive has been built over the past 6 years and has been imported into VideoNuze iQ. Like VideoNuze, VideoNuze iQ is free to readers, and is supported by sponsors. VideoNuze iQ is meant to be a trusted, comprehensive hub for data and insights that industry leaders can use daily to stay up-to-date on relevant data, or as a valuable tool for periodic research projects and presentations. The archive is browsable by categories (e.g. advertising, VOD, etc.) or by research provider / company name. It is also searchable by keyword, with sortable results. In addition to links to VideoNuze iQ’s own analyses and links to curated third-party articles, a comprehensive Download Center features quick links to download industry data and reports. 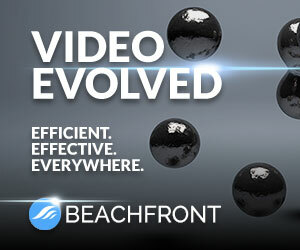 Our goal is to have VideoNuze iQ become a go-to industry resource over time. As with any new initiative, we also believe it will continually evolve, based on industry feedback. Please have a look around and share your thoughts. Contact Will Richmond to learn more about VideoNuze iQ and for information about sponsorships.